Some of the Dallas Stars' best prospects will be very close by -- in Austin, playing for the franchise's American Hockey League team, the Texas Stars. With the offseason acquisitions of Derek Roy, Jaromir Jagr and Ray Whitney, the Stars won't have to rush any of their top young players into front-line spots. There will be opportunities for advancement and NHL jobs, but they will be in less-pressurized areas, which could aid in their development. The Stars also have quality prospects along the blue line and in net. 1. Jack Campbell, G -- After two up-and-down seasons in the Ontario Hockey League, Campbell, the team's 2010 first-round pick, will start the season in the AHL. Campbell joined the Stars with a golden pedigree -- he won championships at the 2009 and 2010 World Under-18 Championship and gold at the 2010 World Junior Championship -- but struggled with Windsor and Sault Ste. Marie the past two seasons, posting 45 wins and 3.62 goals-against average in 91 games. 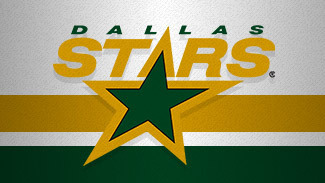 However, Stars director of player personnel Les Jackson believes that adversity only will help Campbell going forward. "It was good for him to go through that," Jackson told NHL.com. "Guys grow from those experiences. … It was hard for him at times but it was for the best for him with his long-term growth." 2. Jamie Oleksiak, D -- The big blueliner, taken with the 14th pick of the 2011 NHL Draft, appears poised to make his debut sometime during the 2012-13 season. The 6-foot-7, 242-pounder had a solid season in the Ontario Hockey League in 2011-12, with 12 goals and 20 assists in 59 games with Saginaw and Niagara. He also played well for Canada at the 2012 World Junior Championship, finishing with a plus-4 rating in six games. Oleksiak likely will start the season in the AHL, but Jackson believes there will be opportunities for him to earn an NHL call-up. "I don't think he's too far from the NHL," Jackson said. "He's going to have to go there and gain experience. He'll be playing every night against men and he'll adjust quickly. … He's got a lot of nice things going for him. He understands the game and for a big kid he moves well and handles the puck well." 3. Brenden Dillon, D -- In his first full AHL season in 2011-12, the 6-foot-3, 210-pounder had 29 points in 76 games, second among the Texas Stars' blueliners. An undrafted free agent signed in March 2011, Jackson said he wouldn't be surprised to see Dillon start the season in the NHL. "He had a real good first year last year in Texas," Jackson said. "I believe he's going to be around the big team this year. He's really taken a huge step forward. He's going to have a real good chance of making the big club this year." 4. Radek Faksa, C -- The Stars chose the Czech-born forward with the 13th pick of the 2012 NHL Draft. Playing with the Kitchener Rangers of the OHL last season, he led all first-year players in the league in goals (29), assists (37) and points (66). Faksa was the first player from the 2012 draft to sign with an NHL team, but Jackson said it's likely he'll return to Kitchener for another season of development. "Depending on what happens at training camp, I suspect he'll probably play in Kitchener again," Jackson said. "That's probably where he should play. He's a really talented kid but he has to go back there. I don't know if he's ready for men every night. Just the fact that he's young and has things to do at that level, the best thing for his development is to go back to Kitchener and have a real good season and we'll see where he goes beyond that into next year." 5. Scott Glennie, RW -- The eighth pick of the 2009 draft, Glennie had a slow start last season, his first in the AHL, because of a concussion. However, the 6-1, 204-pound forward rebounded to finish fifth on the team with 37 points in 70 games. "Once he got up to speed and got healthy he was very capable down there," Jackson said. "It was a big adjustment from playing in the Canadian Hockey League. Scotty, from the time we drafted him, has gotten a lot stronger. I'm guessing he'll have a big season and probably get games with the big club. He's close to knocking on the door." 6. Matt Fraser, RW -- The 6-1, 204-pound forward was second in the AHL last season with 37 goals, which earned him a one-game NHL call-up in January. Undrafted out of the Western Hockey League, he signed with the Stars in November 2010. "Fraser is real close [to the NHL]," Jackson said. "He got 37 goals his first year in the American league, so he's going to get a shot at our club. He's a big man, smart, shoots the puck like an NHL player. The problem we run into is we have a lot of guys with NHL contracts. In the event he doesn't start with us, it depends on injuries and needs for call-ups, but he's close. Matt has done well." 7. Patrik Nemeth, D -- A 2010 second-round pick, the Stars will let the Swedish blueliner acclimate to life in North America by starting in the AHL. The 6-3, 201-pounder had three points and 55 penalty minutes in 46 games with AIK in the Swedish Elite League. He also helped Sweden win the gold medal at the 2012 World Junior Championship, leading the team's defensemen with five points in six games. "He's not far behind Dillon and Oleksiak," Jackson said. "He's right in that group. He's coming over and he'll have to adjust to the North American style of game and he'll get that in Texas. He's another kid that does a lot of good things. I think he's going to turn some heads [in training camp] as well." 8. Reilly Smith, RW -- The 2009 third-round pick finished second among NCAA players with 30 goals last season, his third at Miami University. The 6-foot, 185-pound forward also got into three games with the Stars last season; he didn't have a point, but saw his ice time increase each game, from 4:05 to 8:39 to 12:28 against Central Division champion St. Louis. "He's really gifted," Jackson said. "He may need some time in the American league to adjust to the pro game." 9. Alex Chiasson, RW -- A 2009 second-round pick, the 6-4, 187-pounder had a team-best 46 points in 38 games at Boston University last season. He followed that with five points in nine late-season AHL games. Chiasson will start the 2012-13 season in the AHL. But Jackson believes all that stands between him and the NHL is professional experience. "He's a big man with good hands and a real nose for the net," Jackson said. "He just needs to learn the ins and outs of being a pro." 10. Brett Ritchie, RW -- A 2011 second-round pick, Ritchie had 45 points in 53 regular-season OHL games with Sarnia and Niagara, and joined Oleksiak in leading Niagara to the OHL finals. The 6-3, 209-pound right wing likely will spend this season in the OHL. "He's got all the tools to be a really good player," Jackson told the Stars' website. "He's a big man who can skate, handle the puck and has a good shot. He'll go back to junior and I am sure he'll play a big role with Niagara this year, be one of their go-to players. He keeps getting better. He just has to play and keep improving."